Magazine commenced with v1 #4, possibly due to commencement in the fourth month of the year, April. There were no issues numbered v1 #1, v1 #2 or v1 #3. 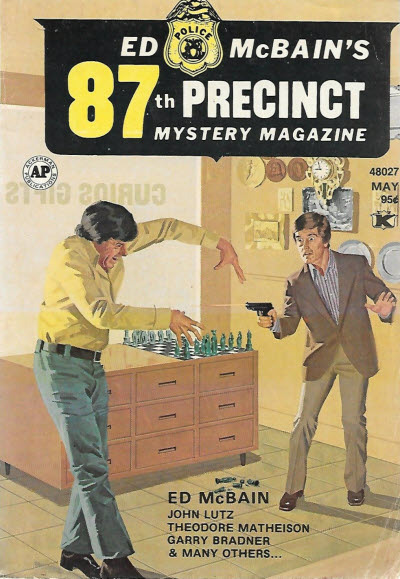 Note that the first issue was misspelled Ed McBaines 87th Precinct Mystery Magazine. 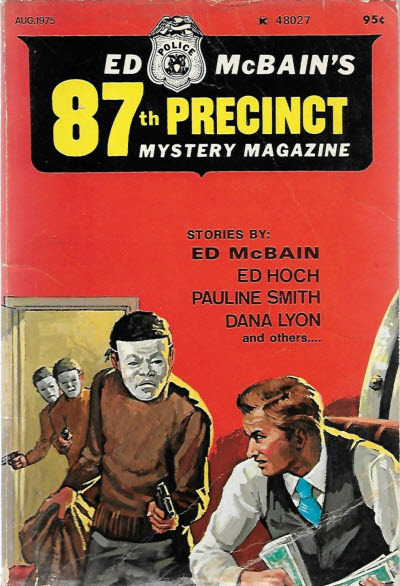 Misspelled as Ed McBaines 87th Precinct Mystery Magazine. Details supplied by Darren Heil. 2 · The Mannequin of Death · Irwin Porges · nv; possibly The Mannequin Murder. 52 · Three for the Hounds · Theodore Mathieson · ss; given as by Theodore Matheison on the cover. 85 · The Bushwackers · Richard O. Lewis · ss; possibly The Bushwhackers. 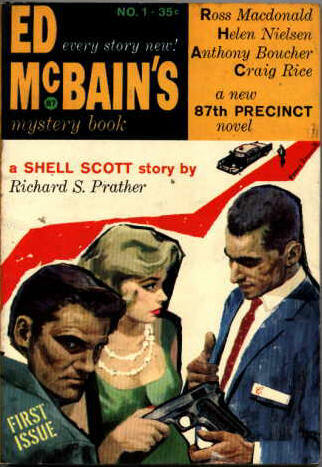 119 · Roundelay · Ed McBain · ss; given as by Ed McBaine in the Table of Contents. 2 · Dead Ringer · Gary Brandner · ss; given as by Garry Bradner on the cover. 33 · The Prophesy of Chin · Theodore Mathieson · ss; given as by Theodore Matheison on the cover and in the Table of Contents. Despite the title of book this is a digest-size magazine, stated to be published bi-monthly. 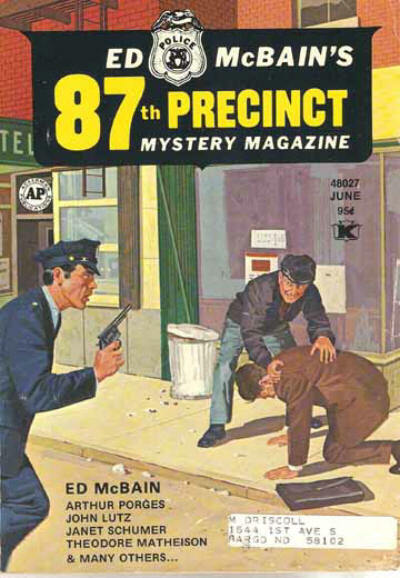 It should not be confused with Ed McBains 87th Precinct Mystery Magazine. Details supplied by Francis M. Nevins. 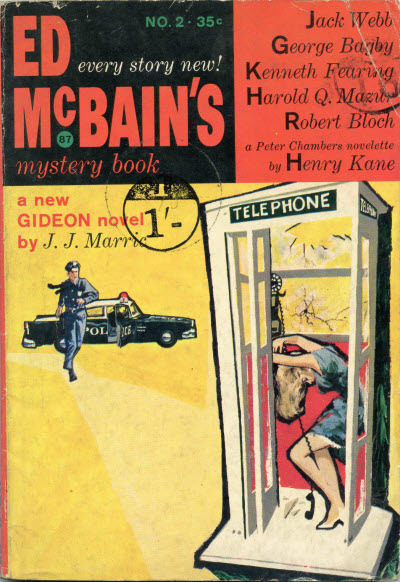 82 · Gideons Fire [Commander George Gideon] · J. J. Marric · n.
Ellery Queens Mystery Magazine is probably the most successful mystery magazine of all time, having run continuously from 1941 to the present daya staggering 73 years! 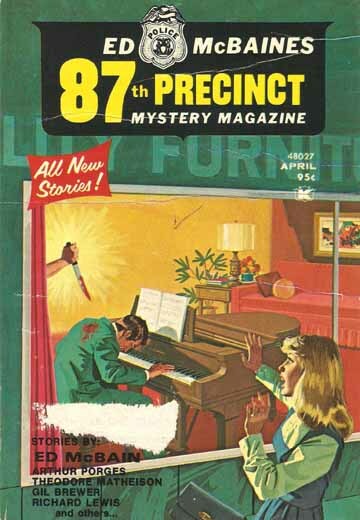 There are few who would dispute its claim of being The Worlds Leading Mystery Magazine. 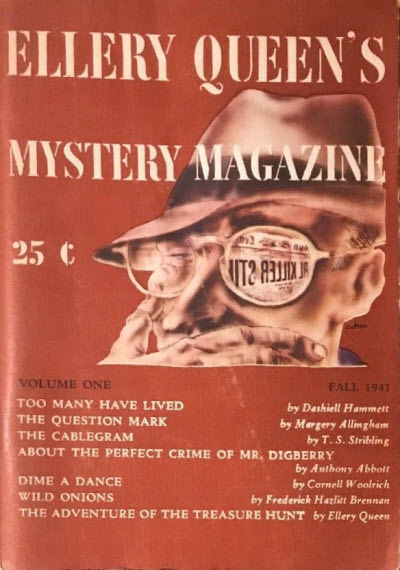 For a period between 1953 and 1955, after merging with Black Mask Magazine, the masthead read Ellery Queens Mystery Magazine Including Black Mask Magazine. Website: www.themysteryplace.com/eqmm. 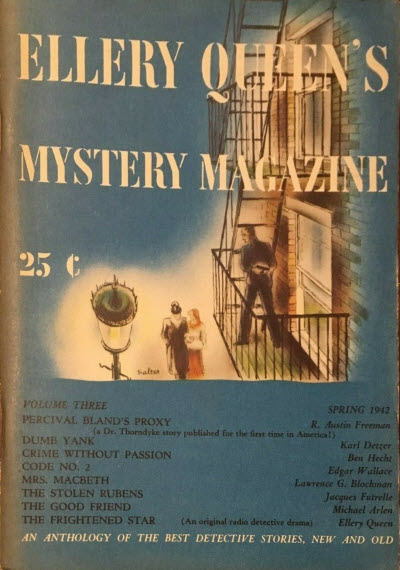 American Mercury: Ellery Queens Mystery Magazine, Oct 1941  Jul 1953. Mercury Publications, Inc.; 527 Madison Avenue, New York 22, NY: Ellery Queens Mystery Magazine, Aug 1953  Jan 1958. 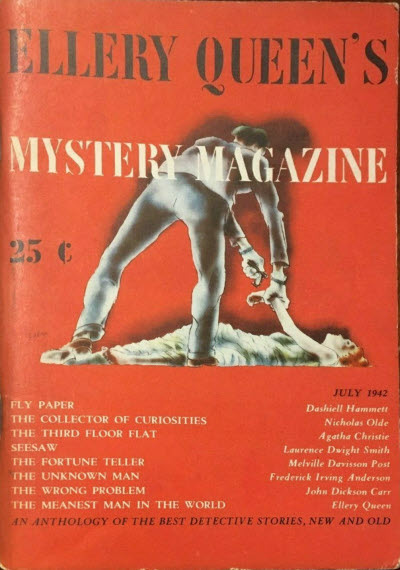 Davis Publications, Inc.; New York: Ellery Queens Mystery Magazine, Feb 1958  Aug 1992. Dell Magazines; 475 Park Avenue South, New York, NY 10016: Ellery Queens Mystery Magazine, Sep 1992. 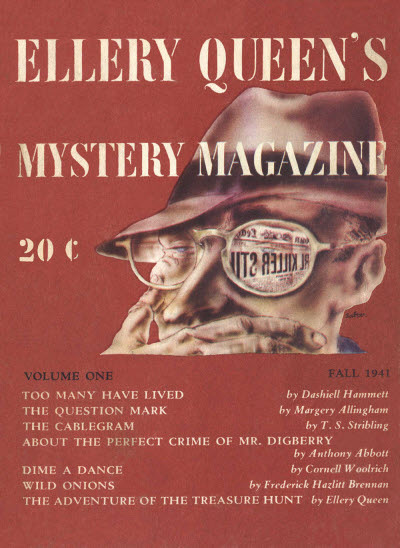 Ellery Queen - Editor: Ellery Queens Mystery Magazine, Oct 1941  Dec 1980. Eleanor Sullivan - Editor: Ellery Queens Mystery Magazine, Jan 1981  Nov 1991. 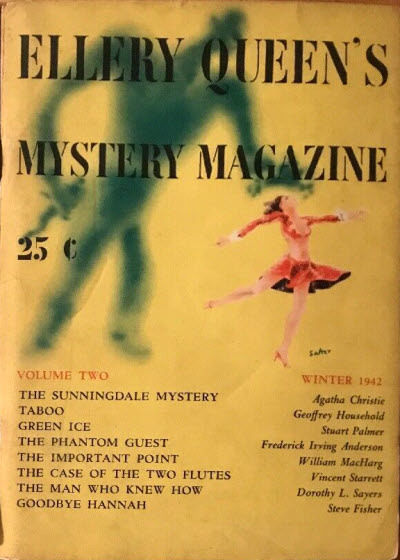 Janet Hutchings - Editor: Ellery Queens Mystery Magazine, Dec 1991. 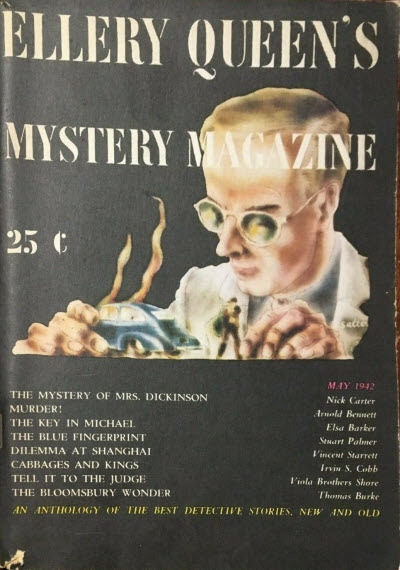 Mildred Falk - Managing Editor: Ellery Queens Mystery Magazine, May 1943  May 1948. 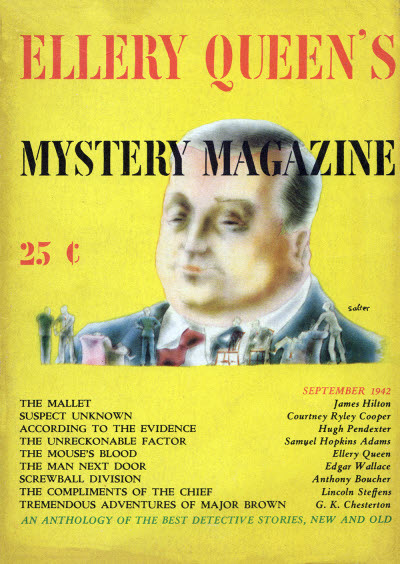 Robert P. Mills - Managing Editor: Ellery Queens Mystery Magazine, Jun 1948  Sep 1959. 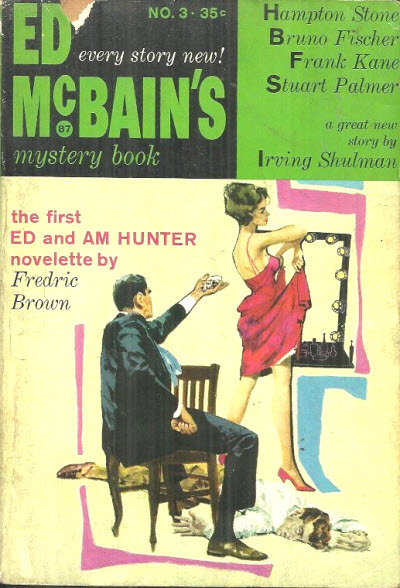 Paul W. Fairman - Managing Editor: Ellery Queens Mystery Magazine, Oct 1959  Aug 1963. Clayton Rawson - Managing Editor: Ellery Queens Mystery Magazine, Sep 1963  Jul 1970. Eleanor Sullivan - Managing Editor: Ellery Queens Mystery Magazine, Aug 1970  May 1975. 58 · About the Perfect Crime of Mr. Digberry [Thatcher Colt] · Anthony Abbot · nv Cosmopolitan Oct 1940; given as by Anthony Abbott in the Table of Contents. Queens introductory note apologizes for the pulp paper of issue no. 2, and blames the present industrial crisis. Details supplied by Douglas Greene. 88 · The Unknown Man [Mr. White] · Frederick Irving Anderson · ss Adventure Aug 1911; in EQMMs League of Forgotten Men. 114 · The Meanest Man in the World [Ellery Queen] · Ellery Queen · pl; given as The Adventure of the Meanest Man in the World in the Table of Contents. 33 · According to the Evidence [The Bureau of Abnormal Litigation] · Hugh Pendexter · ss Adventure Mar 1913; in EQMMs League of Forgotten Men. 54 · The Adventure of the Mouses Blood [Ellery Queen] · Ellery Queen · pl; given as The Mouses Blood on the cover and in the Table of Contents.